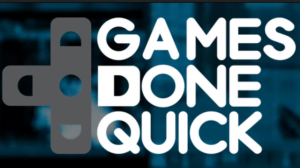 The annual Awesome Games Done Quick charity marathon just finished off with two speedruns of Ocarina of Time, one of which being a masterful sight to see. If you think you are a pro at the N64 classic, you must see this clip of Runnerguy2489 not only using impressive speedrunning tactics to get through all the child dungeons, but doing it all blindfolded. Speedrunners never cease to surprise me. Using nothing but audio cues, Runnerguy dominates in this run. I have tried to do just one “Navi dive” to glitch my way out of Kokiri Forest, but to no avail. This guy does it on the first try without even knowing exactly where he is. That’s impressive. Did you guys watch the marathon? Did you enjoy seeing some of your favorite Zelda games glitched and exploited to their very limits? Leave a comment with your thoughts below!